The New York Times has reported that a Johnson & Johnson/DePuy hip implant that was sold overseas, was rejected by the FDA in 2009. The implant was new hip resurfacing implant. Unlike traditional hip implants, in which the ball portion of thigh bone or femur is removed and a replacement stem and ball are implanted, this particular implant left the femur largely intact and placed a ball shaped cap over the existing femoral head. Most importantly for U.S. medical consumers, the same pelvic (or ace tabular) cup portion of the implants, was used in both the ASR resurfacing system and the ASR system which was approved and sold in the U.S. That ASR implant was eventually the subject of a recall in August 2010–a full year after the FDA had rejected the sister-product. 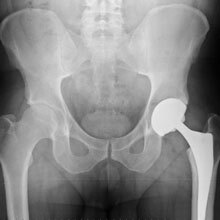 Both systems are so-called metal-on-metal hip implants because they involve a metal ball and a metal socket. The apparent problem with the implants is that the design of the metal sockets are such that the friction between the two components creates metal debris which reacts in many patients and causes infection-like responses, destroying bone, muscle, ligament and soft-tissues, leading to pain and dislocations of the hips. The metal can also seep into the blood and, in effect, cause a type of metal blood poisoning. The only way to stop the effects is to remove the metal cup and replace it with a traditional plastic lined cup. The DePuy ASR implants are the subjects of thousands of lawsuits around the country. Most have been consolidated into a multi-district litigation based in the U.S. District Court for the Northern District of Ohio. However, many cases remaining pending in state courts throughout the U.S. In related litigation, another DePuy metal-on-metal hip implant, the Pinnacle, has also seen cases consolidated in a multi-district litigation, this one in the Northern District of Texas. Generally, the same metal debris problems are occurring with the DePuy Pinnacle implants as occurred with the ASR implants. 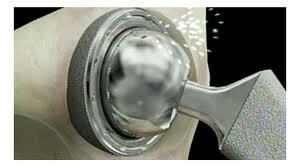 For more information on the DePuy ASR Hip Implants, see my previous posts listed below. If you or a loved one have a DePuy ASR or DePuy Pinnacle implant, or suspect you have any metal-on-metal implant, call our offices immediately at 1-800-557-8176. Have you or a family member contracted a serious infection following a procedure at a hospital or doctor’s office that involved prepping the site with an alcohol wipe? If so, you may have a legal case against the manufacturer of the wipe. A truly massive recakk of Triad Alcohol Prep Pads has been issued. The original recall in January 2011 was rather limited, however, as months have gone by, the recall has grown. Triad Alcohol Prep Pads, Alcohol Swabs can be identified by the manufacturer Triad Group. They have also manufactured these products for sale by companies such as Walgreens, CVS, Smith & Nephew, GlaxoSmithKline, Eli Lilly and others. These products may be contained in various “kits” used by nurses and doctors, such as IV prep, blood draw and procedure kits. The Triad products were contaminated with Bacilus cereus, a bacteria that is normally soil dwelling. Normal symptoms of Bacilus cereus infection would include diarrhea, nausea and vomiting. At least one death has been linked to these contaminated products. If you suspect that you or a family member was infected with Bacilus cereuas and you suspect it was caused by use of a contaminated alcohol prep, please contact the Law Offices of Todd N. Hendrickson, P.C. at www.hendricksonlaw.com. Early this year, the American Association for Justice, the nation’s premier trial law organization, put out it’s report Medical Negligence: The Role of America’s Civil Justice System in Protecting Patients’ Rights. This report relies upon published data from unbiased sources, such as the Institute of Medicine, the Congressional Budget Office, the New England Journal of Medicine, Archives of Surgery, the Office of the Inspector General and many other organization, to clearly show that there is no crisis in the U.S. of too many lawsuits. The crisis is too much medical negligence. Medical Negligence kills 98,000 patients per year. That is more than diabetes, Alzheimer’s Disease, Influenza and Pneumonia. 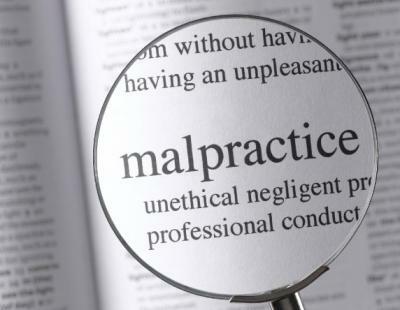 Only heart disease, cancer stroke and pulmonary conditions kill more people than malpractice. Hundreds of thousands more suffer injuries. The cost of medical malpractice suits amounts to less than 1% of the money spent on medicine in this country. In fact, only 0.3%. Government administration amounts to 10.5% of the cost. Hospitals and physicians invest 200 times more into their facilities than they pay out in medical malpractice. Between 2004 and 2006, it is estimated that 238,337 people died as the result of medical malpractice. In that same period, only 38,363 payouts were made to victims of medical malpractice. 80% of the victims of medical malpractice suffer death, or major or substantial injuries as a result of medical negligence. 3% suffer no injury at all and 17% suffer minor injuries. Caps on payouts in lawsuits DO NOT make doctors flee those states that do not have caps, as many would have you believe. 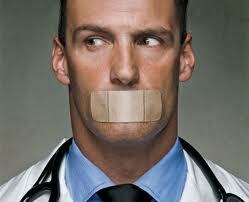 In fact, states without medical malpractice lawsuit limits have an average of 349 doctors per 100,000 citizens. In states with caps, that number drops to 288. Doctors are not benefitting from limits and restrictions on lawsuits, malpractice insurance companies are. From 2000 to 2006 the amount that malpractice insurance carriers have collected from doctors has gone up 121%. In that same period, the amount they have paid out on claims has gone down by 15%. As always, the insurance companies are profiting, not anyone else. Our civil justice system protects patients. Fight to keep this vital check on medical errors.